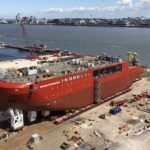 A major milestone in the build of the UK’s state-of-the-art polar research ship is reached this weekend [Saturday 14 July 2018], when the 129-metre long, 10,000 tonne hull of the RRS Sir David Attenborough is launched into the River Mersey for the first time. Once in the river, tugs will tow hull number 1390 to Cammell Laird’s wet basin for the next stages of construction. 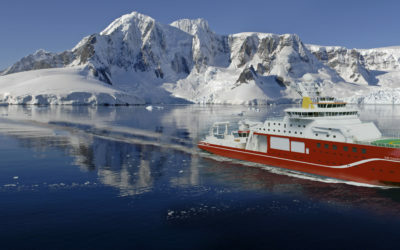 The polar research ship is scheduled to come into operation in 2019. Shipyard workers, engineers, scientists and maritime industry experts will gather with special guest speakers, including world-renowned broadcaster Sir David Attenborough, to celebrate this remarkable engineering achievement. Viewing vantage points, from promenades at Liverpool’s Albert Dock and Otterspool Park, provide opportunities for members of the public to join the celebration. The launch will be live-streamed from 11.00am on the BAS website: www.bas.ac.uk/live with the ‘Splashdown’ at 12.20pm. 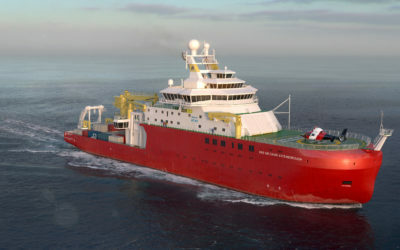 The new research ship is part of a Government polar infrastructure investment programme designed to keep Britain at the forefront of world-leading research in Antarctica and the Arctic. 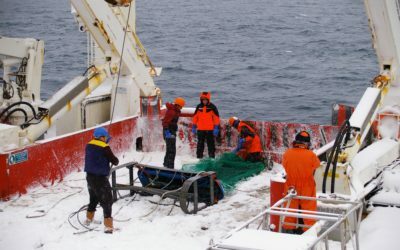 Launched in the summer of the Year of Engineering, this commitment represents the UK Government‘s largest investment in polar science since the 1980s. 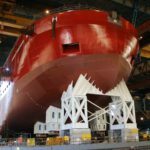 “This incredibly exciting event marks the next stage in the construction of this remarkable new polar research ship. 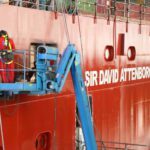 The RRS Sir David Attenborough will use sophisticated technology to monitor polar activity and will help strengthen our position at the forefront of climate and ocean research. “Britain began exploring the Antarctic over a century ago when it seemed to be an empty wilderness of little importance to the world as a whole. Now we recognise that what happens at the Poles is of the greatest importance to everyone, everywhere. 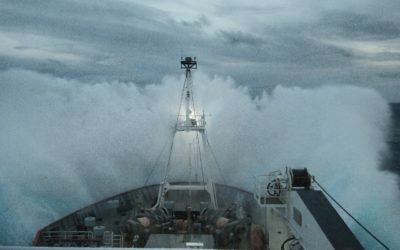 “The RRS Sir David Attenborough will deliver world-leading research to help tackle the environmental challenges of our age, including climate change and protecting our oceans. 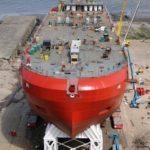 “The launch of the RRS Sir David Attenborough is a really important milestone in the build programme, and it is a great day for the Cammell Laird team. 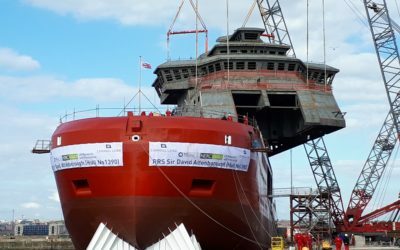 We have said that this Cammell Laird generation is proud of its heritage and is determined make its own history, and the launch of Sir David Attenborough Polar Research Ship underpins this commitment and ambition.